Our study lounge has it all (in our humble opinion).. The atmosphere in Lathrop Café study lounge is laid-back, quiet, and conducive to whatever type of studying you need to do. 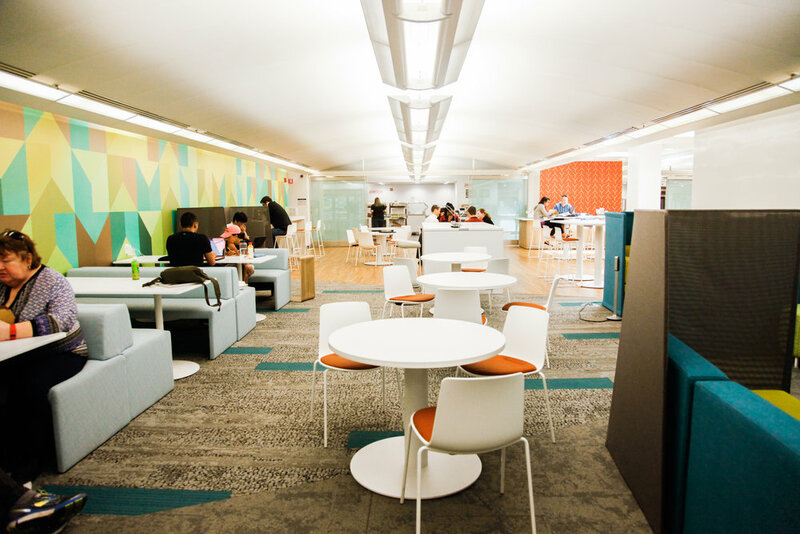 With quiet nooks for private studying (or last-minute cramming) and open collaboration spaces for discussion and brainstorming, you’ll feel right at home in our study lounge. We looked at all types of study spaces for inspiration as we were designing our study lounge. Some emphasis collaborative work, some are focused on solo studying. With a variety of plush chairs and tables, private, desk-like nooks, comfy couches, and inviting study booths, our lounge provides a spot for every study personality. Oh, and there’s fast, free Wi-Fi, of course.